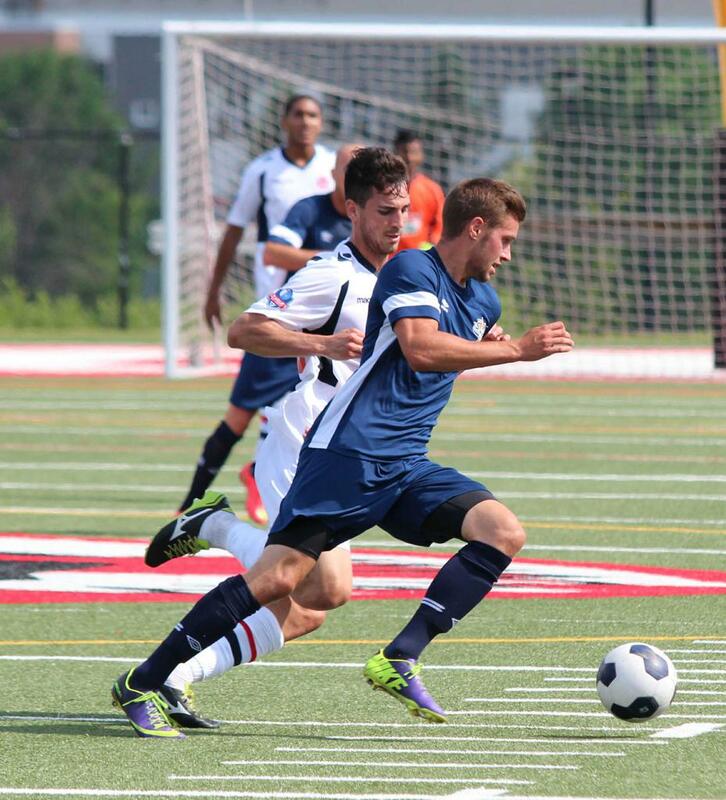 Saturday's contest between Vaughan Azzurri and Windsor Stars at York University Stadium featured two of the top sides in League1 Ontario through the first six weeks of play. Windsor entered the match in second place in the league table, with Vaughan lurking one point behind them in third spot. Both rosters feature a blend of experience and talented youth that would make this a must see match for both neutral and partisan fans. After 90 grueling minutes of fast paced and physical play, Vaughan would emerge victorious, downing Windsor 1-0, handing the visitors their first defeat in league competiton in 2014. The only goal of the game came very early on, thanks to Joseph Di Chiara, one of Vaughan's more experienced and high profile signings. Di Chiara pounced on a rebound in the 2nd minute of play and made no mistake, slotting it past Windsor's young backup goalkeeper Kyle Vizriakis. Vizriakis was asked to take the place of usual Windsor starter Anthony Santilli, who had been named the League1 Player of the Week for Week 6. Over the next 88 minutes, both teams exchanged numerous outstanding chances but Vizriakis and Vaughan's young netminder, Andrew D'Souza, were consistently up to the challenge. Windsor's Cristian Dragoi and Michael Pio had the best chances on the day for the visitors but just missed their mark. For Vaughan, Dena Ieazady, Jonathan Lao and Daniel Fabrizi had some outstanding opportunties to extend their team's lead, especially late in the second half, but were stymied by both Vizriakis and his best friends on the day, the goal posts. With the victory, Vaughan leapfrogged over Windsor, moving into second place in the L1 table, behind only Toronto FC Academy. Azzurri trail the Young Reds by 2 points in the table but do have one game in hand. 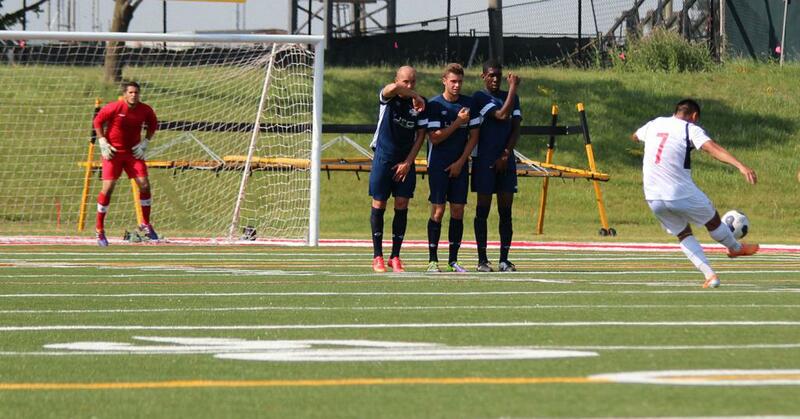 This sets up a very important match coming up on June 20, when Azzurri welcome TFC Academy to York Stadium for a game that has the potential to significantly impact the 2014 League1 title race. Windsor drops to third place with the defeat, their first in league play, remaining on 14 points after seven games. They have also played one fewer game than the league leaders. 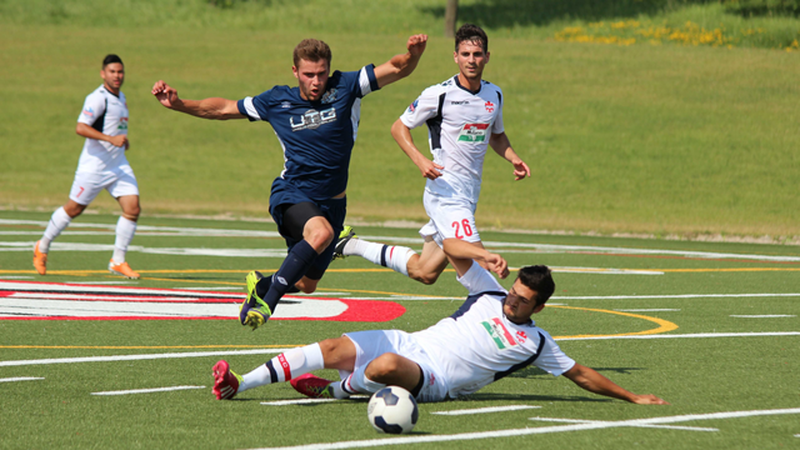 Windsor's next fixture brings them back to as they take on Durham United FC at Pickering's Kinsmen Park on June 20.